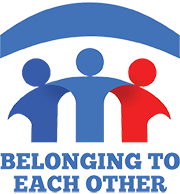 Belonging to Each Other (BTEO) is a coalition of 100+ volunteers consisting of 9 Falmouth congregations and other community members founded in late 2015 to address the problem of homelessness in our community. BTEO provides temporary housing, food, transportation and social services for homeless men and women in Falmouth during the cold winter months, while helping clients identify more stable housing and/or necessary services. It is a high touch, high intensity model. Our population consists of homeless men and women in Falmouth. We will house our clients in rental houses. We can accommodate up to 12 homeless men and women at a time, from November through mid April. As clients transition out to more stable housing, other homeless individuals who meet our eligibility criteria will cycle into available spots.